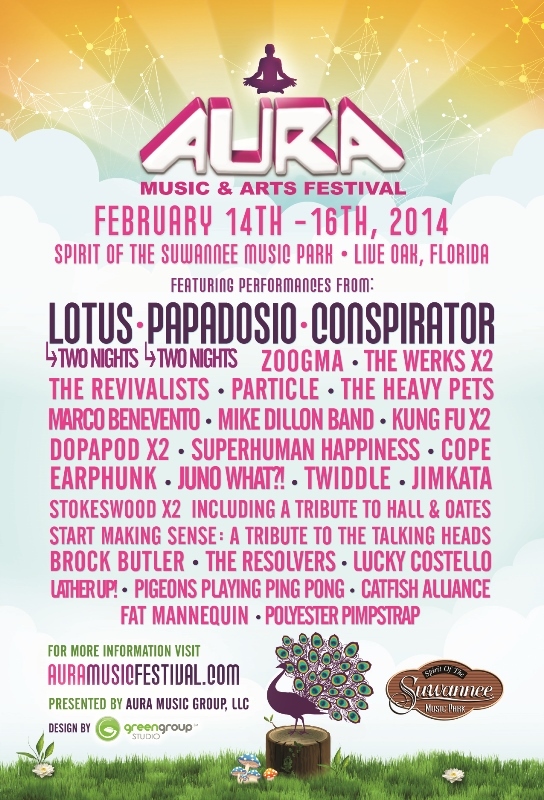 AURA Music & Arts Festival have added several artists to the lineup including the funky stylings of New Orleans bands The Revivalists and Earphunk, jamtronica pioneer Particle and Atlanta’s low-endie rock outfit Stokeswood, who will also perform a Tribute to Hall & Oates. From the Florida family, Jacksonville’s Lucky Costello and Tallahassee’s Catfish Alliance will also take the stage at Spirit of the Suwannee Music Park, along with two side projects from The Heavy Pets – Fat Mannequin and Lather Up! AURA has also unveiled details for their first-ever VIP Experience – with two options to take the AURA fan journey to the next level including a heated VIP hangout tent in the concert area, discounted beverages, a daily meet & greet with select bands and delicious catered meals alongside AURA staff and artists.